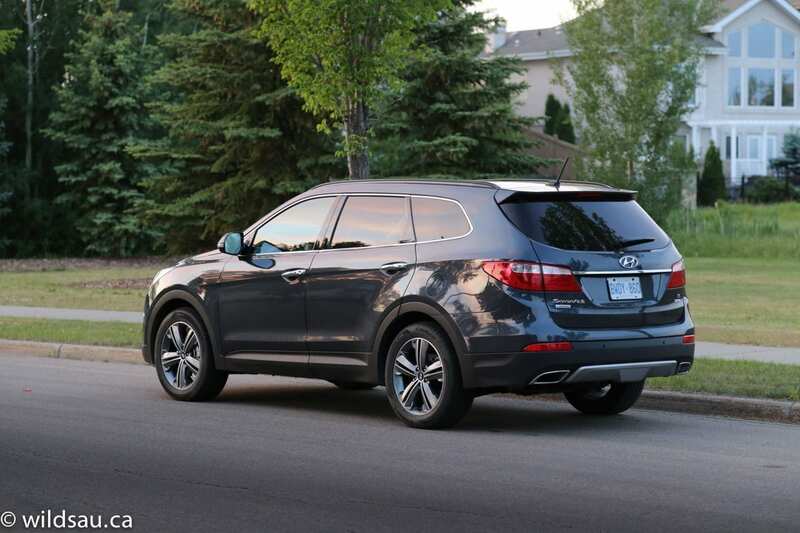 Hyundai’s highly successful Santa Fe goes big. 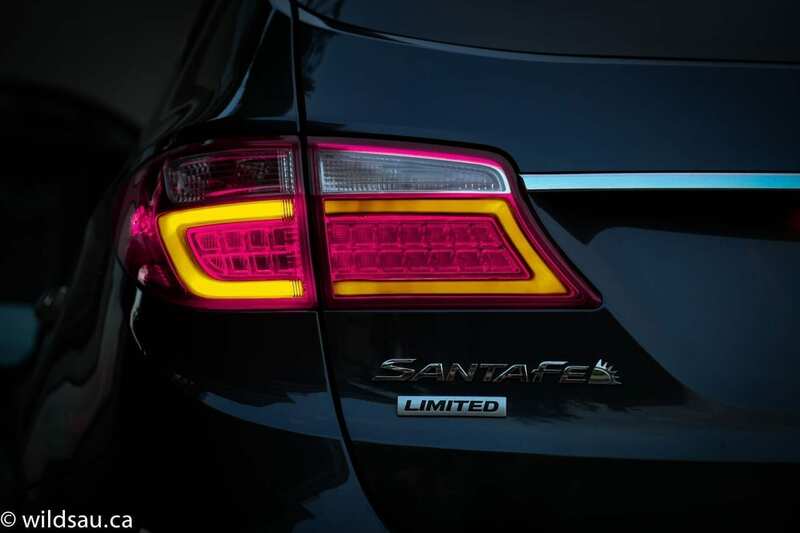 The Limited’s headlights are Xenon HIDs and there are some pretty cool LED light strips – signature driving light eyebrows over the headlights and red lines in the tail light clusters. (My picture makes them look orange, but they’re red.) The whole thing is tied together with handsome 19-inch rims. It’s a bold design without going overboard, and I feel that it has aged gracefully over the couple of years that we’ve seen it on our roads. 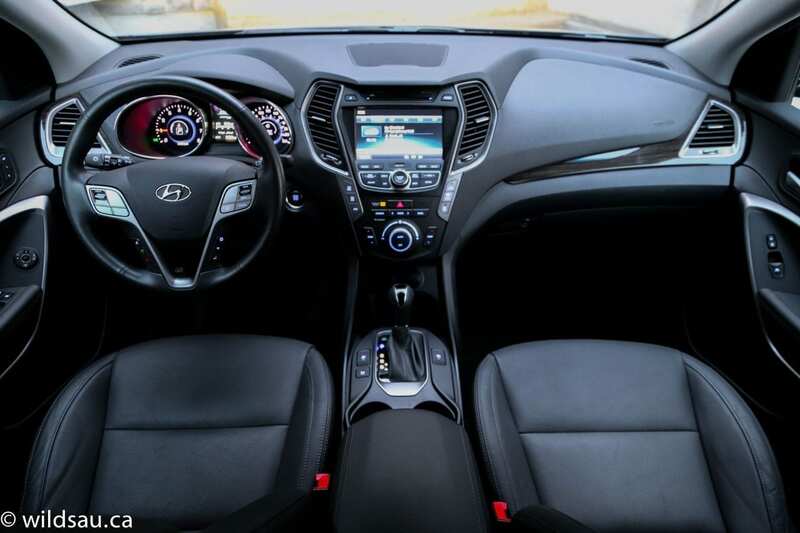 When you get in, you find a spacious cabin with an intelligent, ergonomically-sound layout. While not world-class, the materials are nice, with plenty of soft-touch plastics and some varying textures going on. Fit and finish seems to be excellent, although I often heard a fabric-on-plastic rubbing sound when I drove over rough roads, and it sounded like it was coming from the massive panoramic sunroof overhead. The front seats (heated, cooled and power-adjustable) are very comfortable and surprisingly well bolstered for a 3-row SUV. 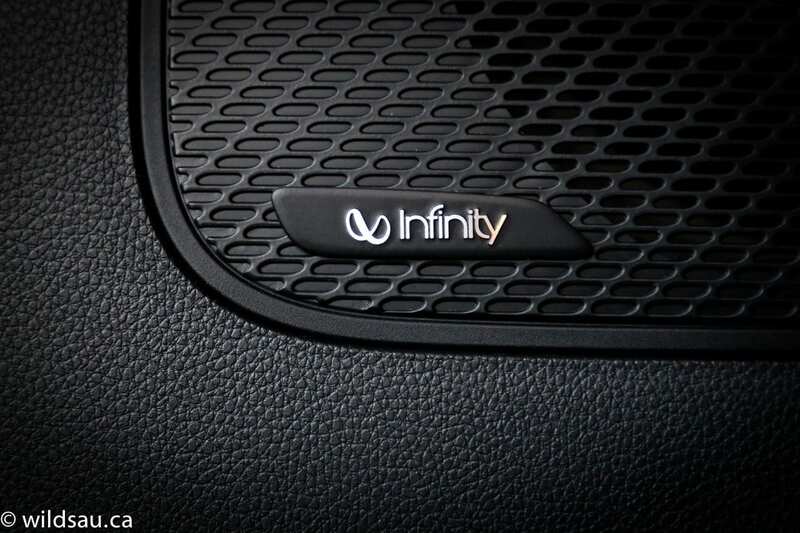 Plenty of touches to make the Limited trim feel loaded – a proximity key and a push-start ignition, heated steering wheel, an 8-inch touchscreen with navigation, a 10-speaker Infinity sound system and a Smart Liftgate which opens the liftgate if it senses the key within a metre of the trunk for longer than 3 seconds. Pretty cool! 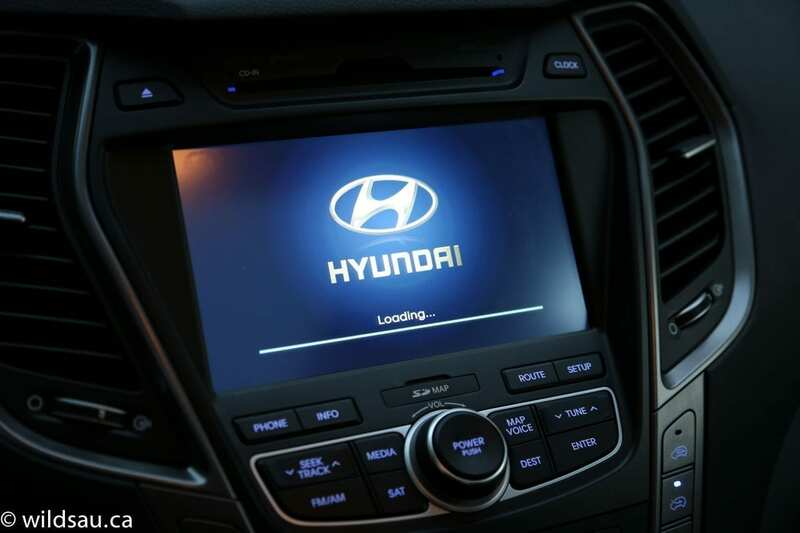 Hyundai’s driver assistance technology here consists of blind-spot monitoring, rear parking sensors and a back-up camera. The two captain’s chairs in the second row are also very comfortable and roomy – I found plenty of head and leg room. 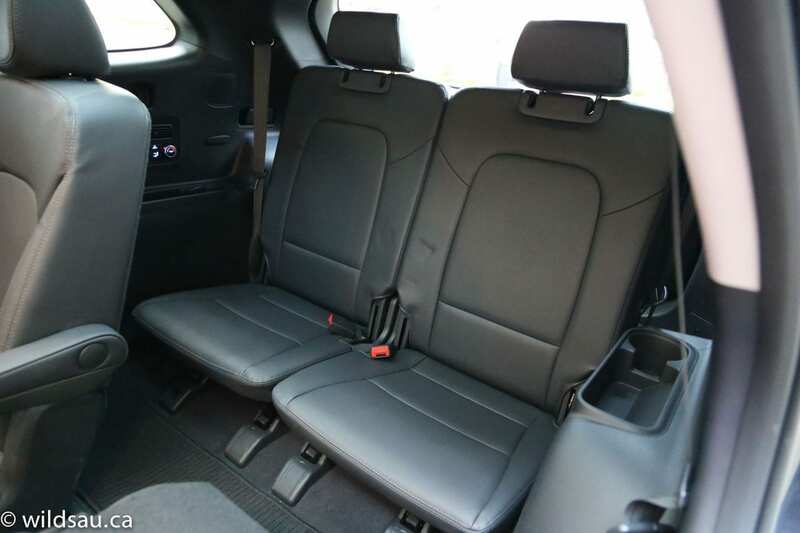 To add to the comfort and convenience, the seats are heated and fully adjustable, sliding fore and aft and reclining. We liked the sunshades for the windows, and each seat has a pair of LATCH anchors for child seats. The two seats in the third row are reasonably easy to access, thanks to the 6-passenger configuration which leaves a nice aisle in the middle. It’s a real bonus not to have to fold or move the second row seats in order to access those in the very back. 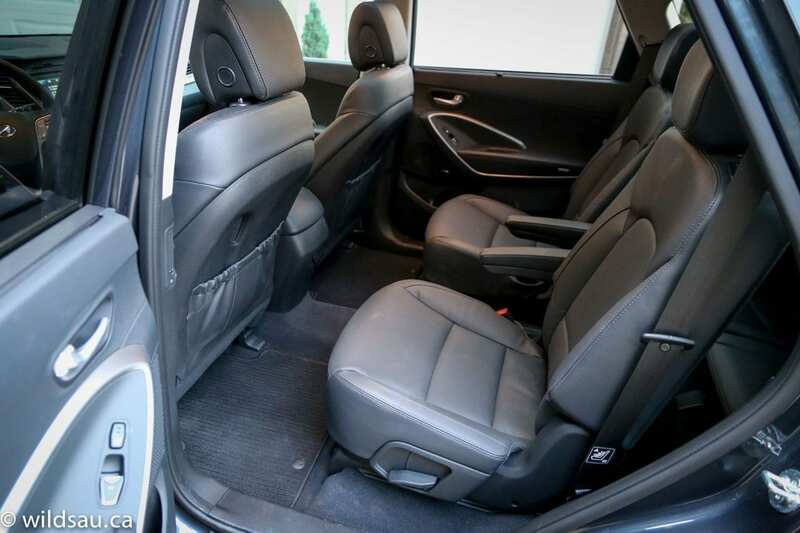 Once you’re back there, the space is somewhat limited however it is usable for adults without having to move the second row up so far that it in turn becomes uncomfortable. 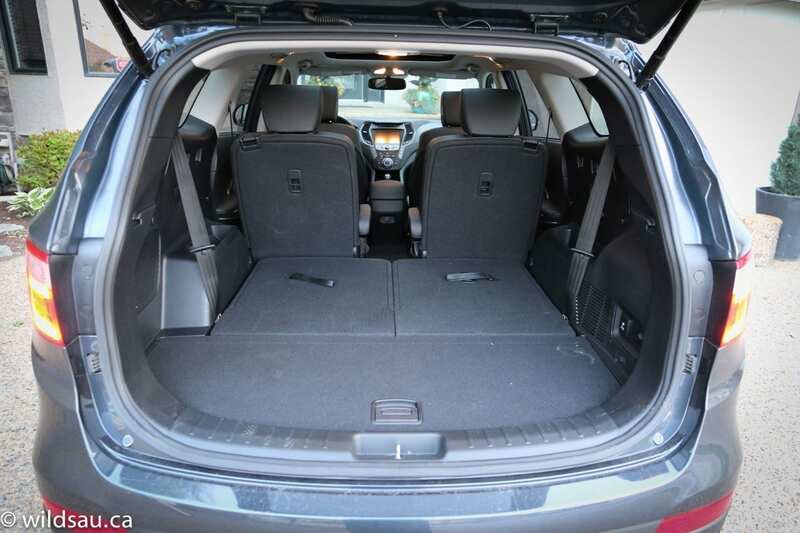 The seat cushions are low to the ground and the leg room is minimal, but I was able to sit in the third row and that’s more than I can say for other 3-row SUVs. Another pleasant surprise was the head room – at 5’10”, I had enough clearance in the third row. Our kids were thrilled by the space back there, and it always turned into a fight because only two out of three could sit back there. 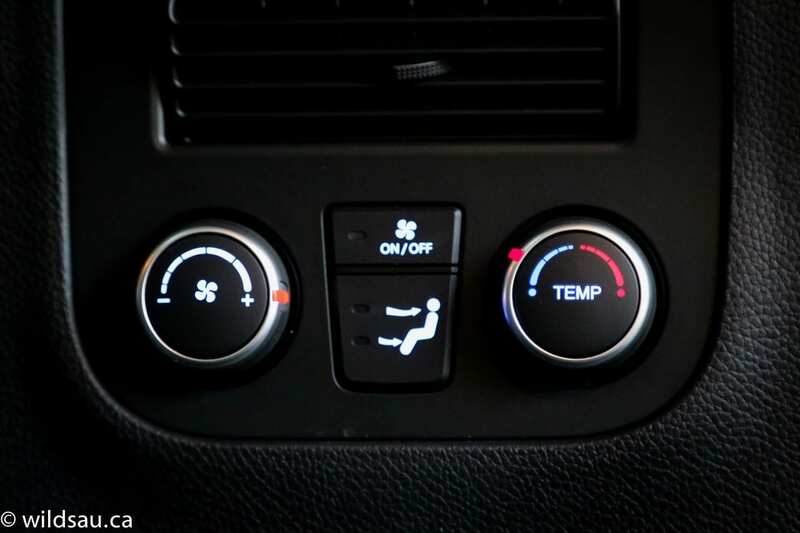 A little something extra – there’s an independent climate control panel too. Which is just one more thing for siblings to fight over, of course. There is no shortage of places around the cabin to store your things, including a huge bin at the front of the centre console. We found a decent amount of space behind the third row – 383 litres and a bit of underfloor storage as well. The third row seats fold flat (50/50 split) with a quick yank of a strap, growing the trunk to a sizable 1159 litres. I appreciate that I don’t have to get into the vehicle to fold the second row seats. 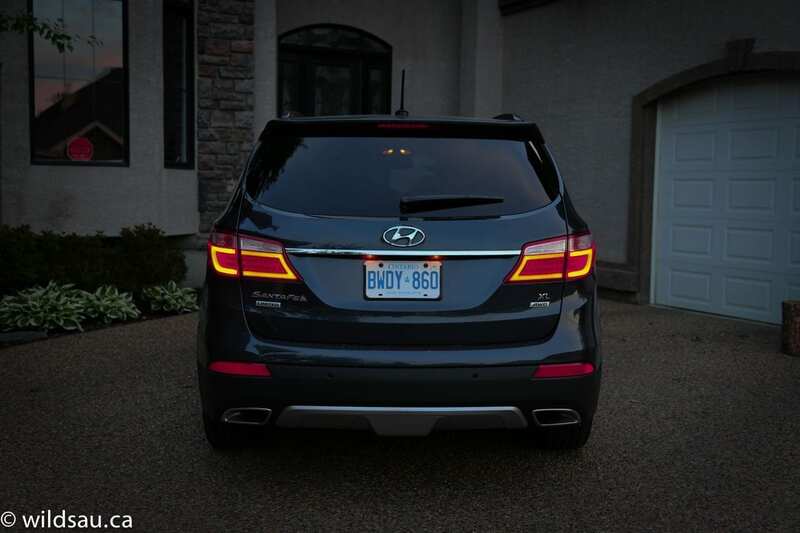 Hyundai added pulls on either side of the trunk – yank them and the second row seats fold down. Very convenient. 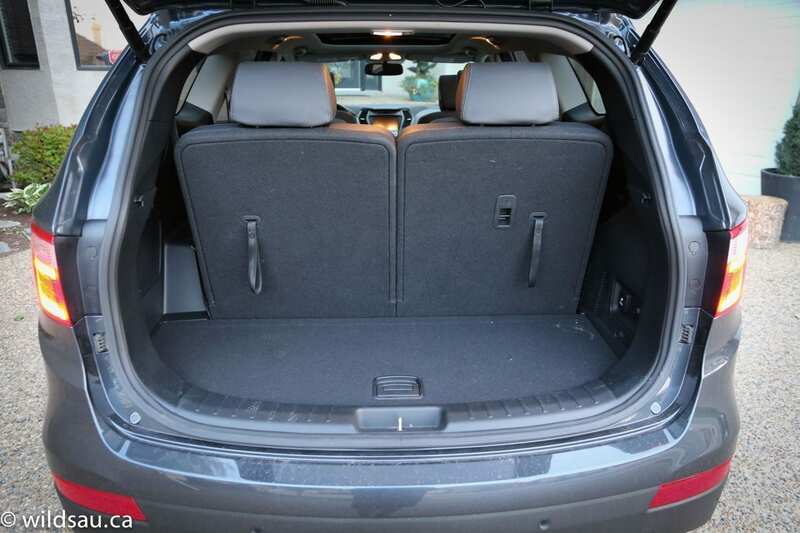 With all the rear seating folded down, the Santa Fe XL offers a massive 2265 litres of cargo space with a reasonably flat floor. 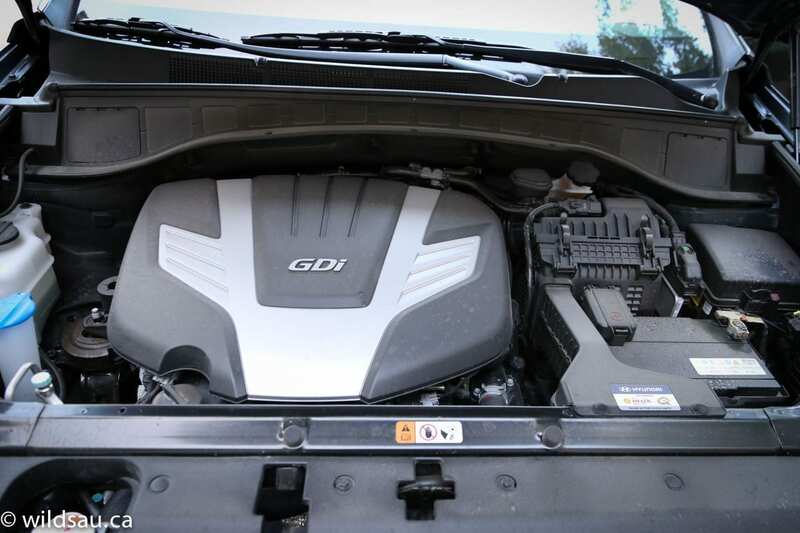 The Santa Fe’s direct injection 3.3-litre V6 (290 HP, 252 lb.ft of torque) feels effortless off the line. 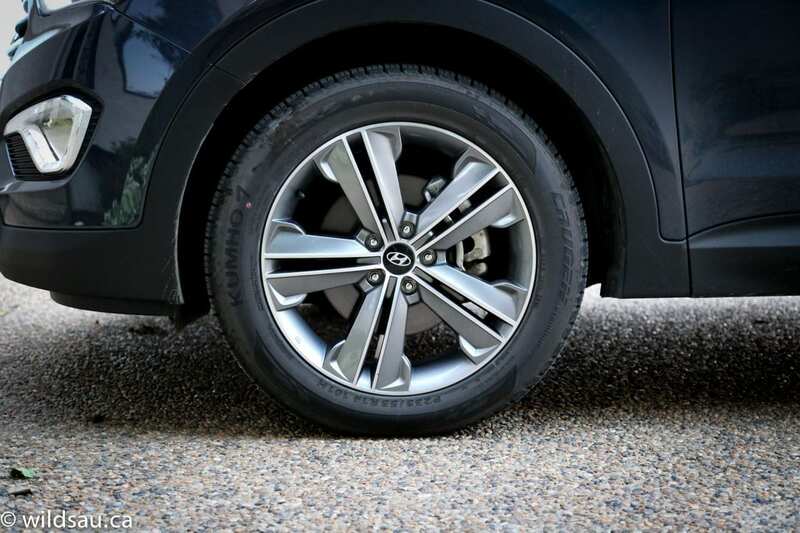 If you step on it when you’re on the go, it feels like the engine starts working harder but I want to be clear – the XL has plenty of power for around town and on the highway. 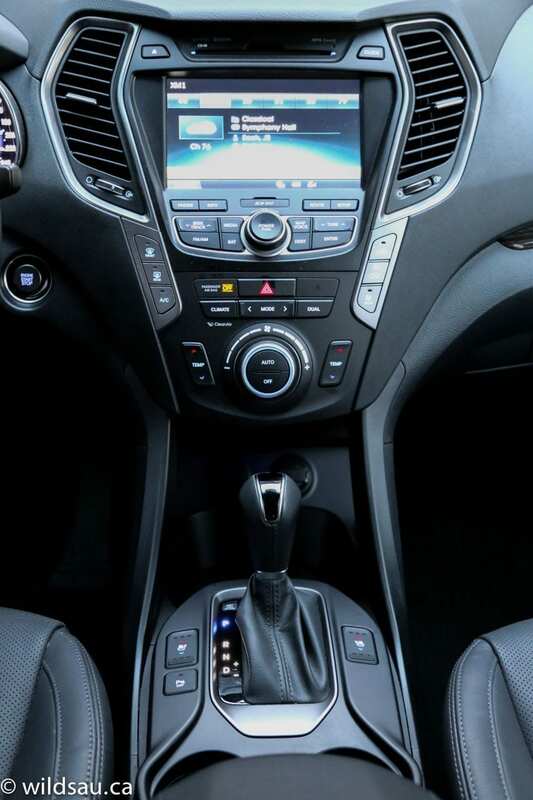 If you’re looking for a smooth operator, look no further than the Santa Fe’s 6-speed transmission – it’s a model citizen. And I found it to be quite intelligent – it was usually in the right gear for the situation. 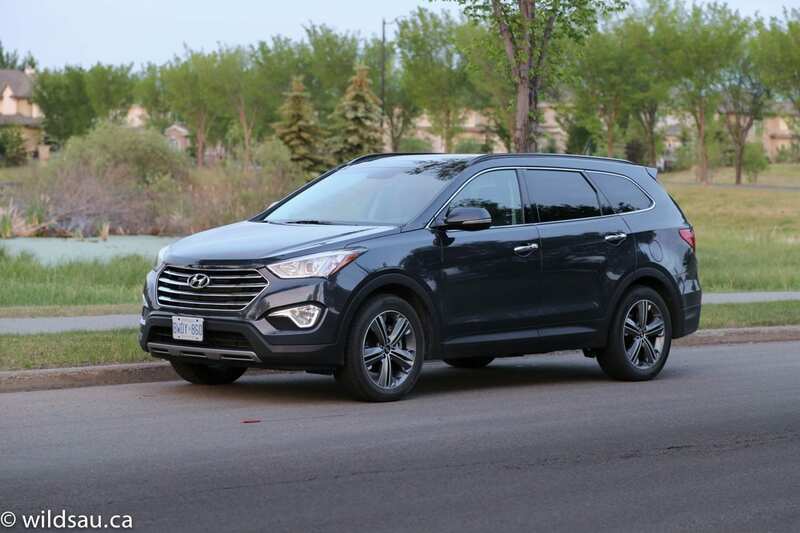 Hyundai adds an Active ECO mode – turning it on seemed to have little impact on driveability but I can’t say what impact it has on the fuel economy of this big but relatively lightweight 4057 lb (1840 kg) SUV. With no effort to drive economically, I averaged an impressive 11.7 L/100 km (20 US mpg) during our week with the XL. 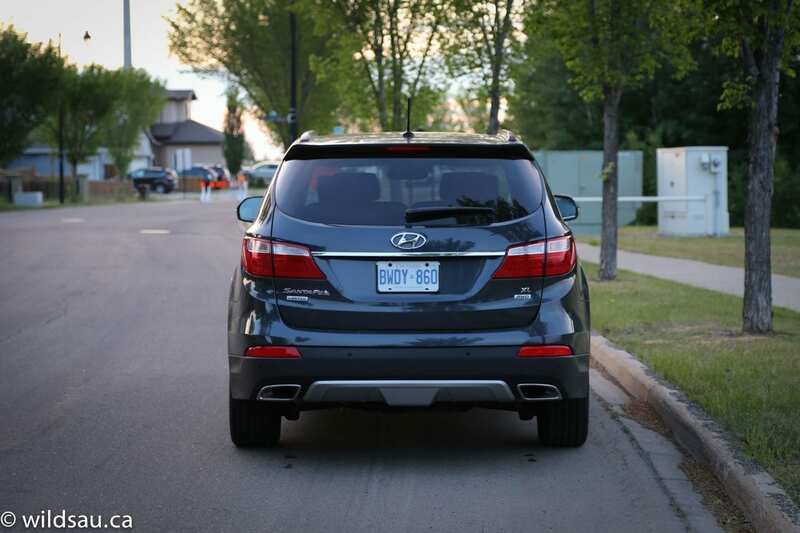 Hyundai rates it at 13.0 L/100 km (18 US mpg) in the city and 9.7 L/100 km (24 US mpg) on the highway. The XL rides well, and I loved that Hyundai didn’t let it get too floppy. Its suspension is firm enough that the vehicle stays composed, and even though you’ll find the expected body roll around corners, I thought it handled very well for a vehicle of its size. It’s not the lumbering beast you might expect once you get moving and I was impressed. 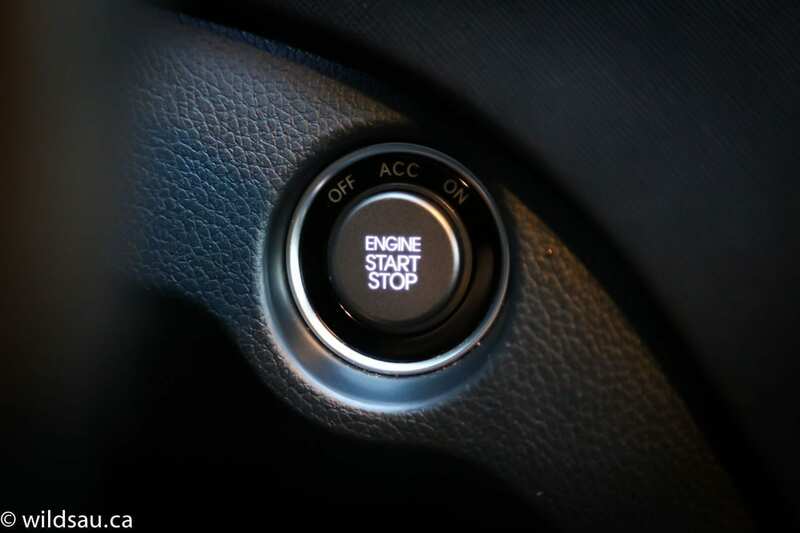 The steering remains numb, and still has the three modes (Comfort, Normal and Sport) which do nothing to change the steering itself, only the effort involved. A bit gimmicky. 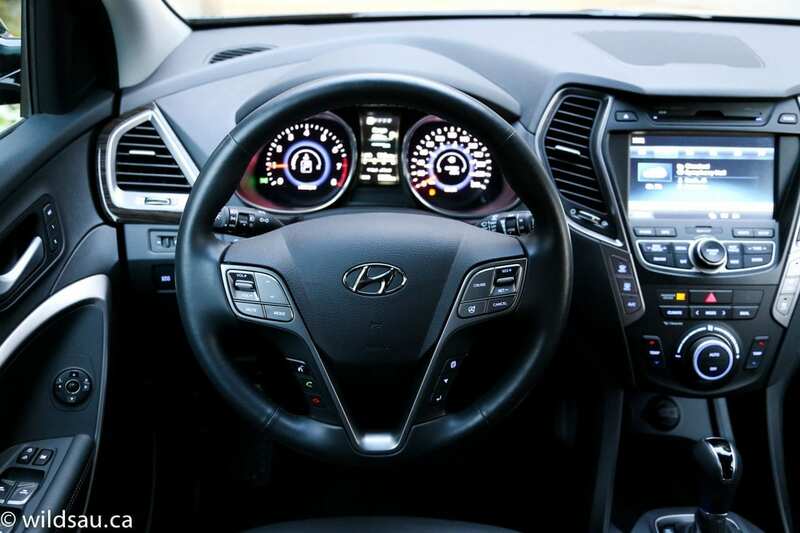 I’d prefer if Hyundai just added some steering feel instead. Road, engine and wind noise were eerily absent, and the driving experience was very quiet – impressively so in most situations. The on-demand all-wheel drive system remained transparent during my week with the Santa Fe, and I’m guessing it barely ever engaged since I was on dry pavement the entire time. If you do some towing, the XL can pull 5000 lb (2268 kg) when equipped with a trailer brake. I like the Santa Fe XL a lot. Overall, it made an excellent impression on me. 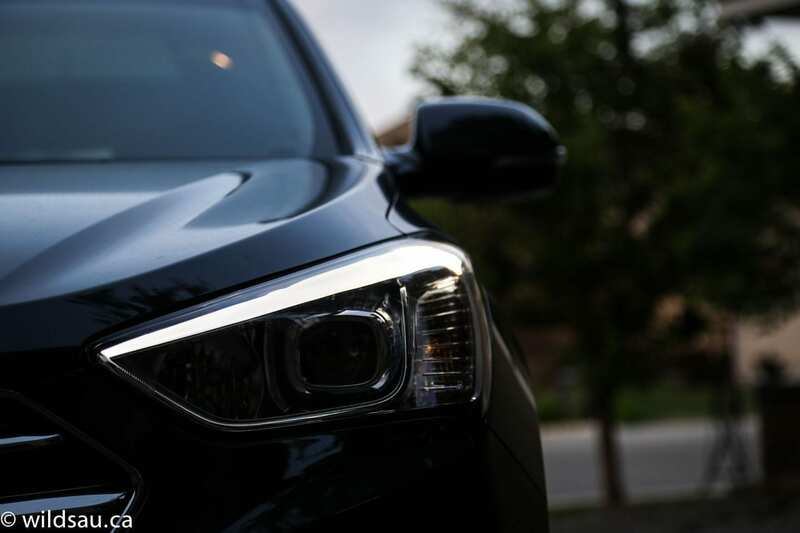 The vehicle is very refined and I really found little to fault and much to love. WAF (Wife Acceptance Factor) was high. She loved how it drove, and said it felt luxurious inside and looked the part from the outside. Remember the days when you bought a Hyundai to save some money and you got the almost-as-good-as-the-competition vehicle? Those days are over. They’re long gone, actually. 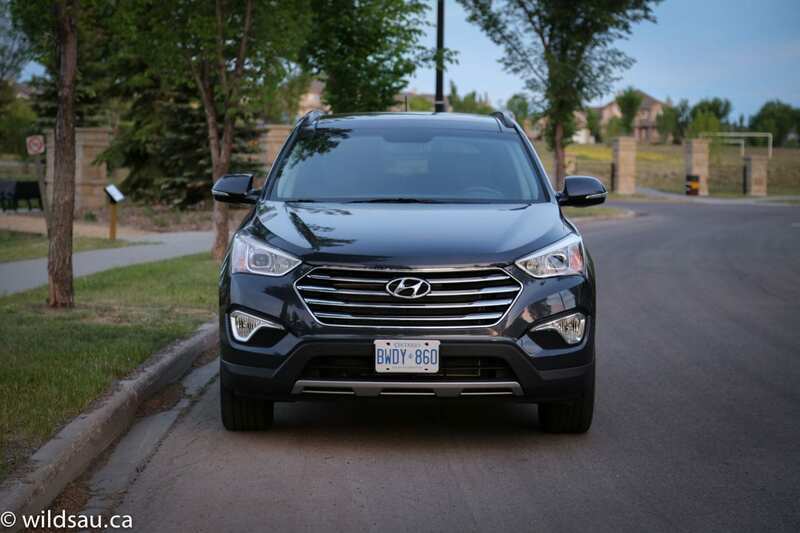 You don’t have to make excuses for having bought a Hyundai any longer (that hasn’t been the case for a while now, by the way) and the Santa Fe XL is further proof that this company builds great vehicles. 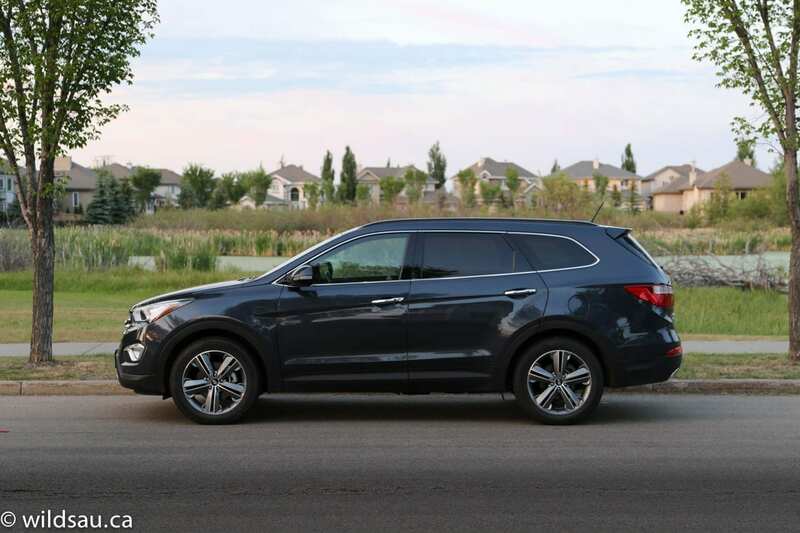 The Santa Fe is well thought out, well designed and appears to be well built – not to mention that it’s a great value. I wouldn’t hesitate recommending the XL to anyone who needs a 3-row SUV. If you’re in the market, put it on your shopping list.